In my very first review of Honda Ya right after it opened, I complained about several items, which have all been corrected since then. 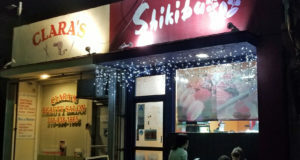 Previously, I reviewed their Miso Ramen, their Sushi, and the Yakitori. One thing that I glossed over before, is the traditional tatami room they have shown below. This is about as traditional as you can get and in most modern Japanese restaurants, you would not see this any more unless you go way out of the city. I think this gives Honda Ya an ambiance that gives you the true Japanese flavor of many years ago. Moreover, all the waitstaff speak fluent Japanese and yes, the hot green tea is free. 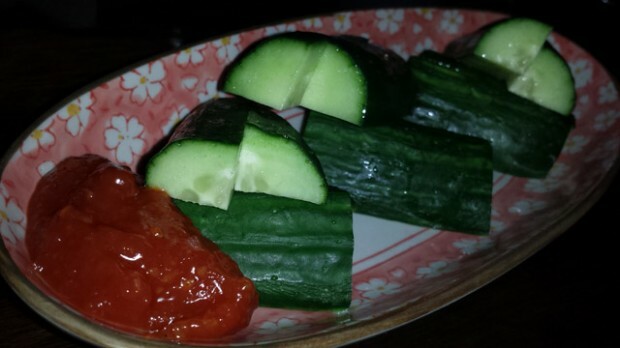 On this trip, I tried their Moro-Q ($3.95) Japanese cucumber with miso dipping sauce, which was excellent and fresh. 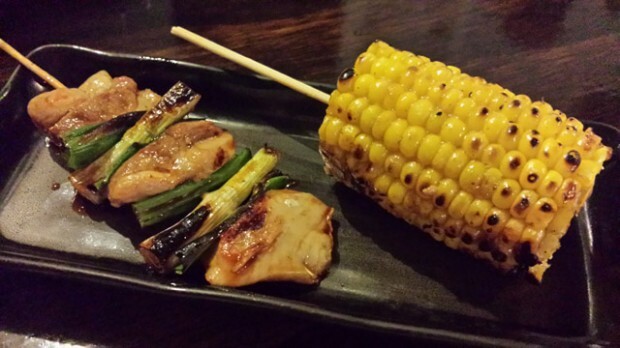 Next, I tried their Yakitori Leg meat ($2.60), and Corn ($2). The sauce on the leg meat is delicious and the corn is amazingly sweet. I don’t know how they do that but it’s consistently sweet. 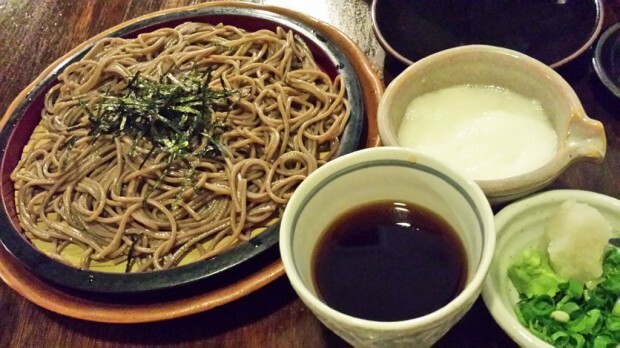 Finally, I got the Tororo Zaru Soba, buckwheat cold noodles with grind yam. Although I love the grind yam, it’s not for everyone and I suggest you only try it if you are very adventurous. As usual, the soba was cooked perfectly and the wonderfully tasting dipping sauce makes it that much better. 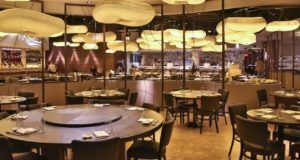 All in all, this place looks, sounds and tastes authentically Japanese. If you want sushi or sashimi, I suggest you go to Sushi Go 55 next door. 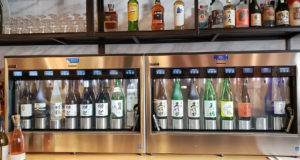 But if you want noodles, Yakitori, or anything else that’s authentically Japanese, come here. It’s also a great place for big parties because they have a big table in the middle of the room. 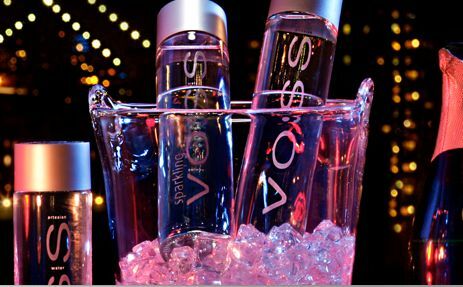 It gets pretty busy on the weekends so come early. 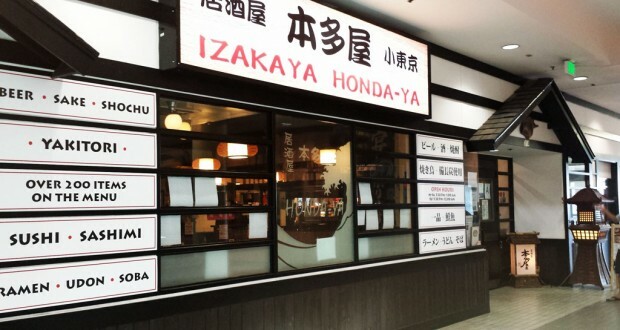 Summary : Come here for reasonably priced izakaya prepared in a very traditional way. Conveniently park in the mall lot for free. 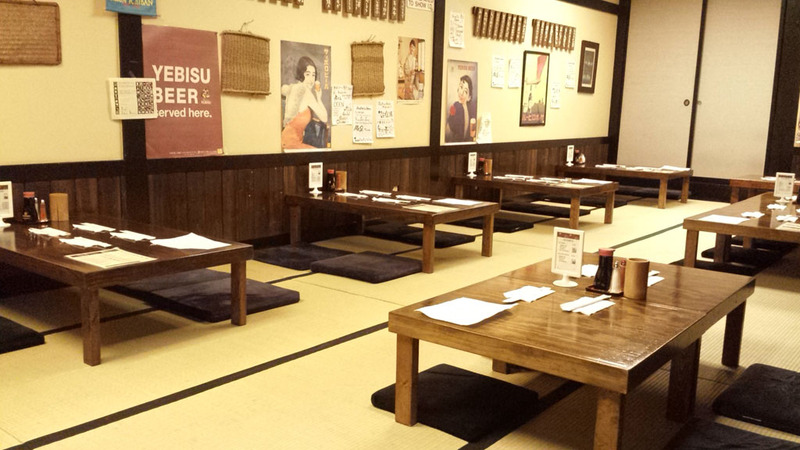 You can even sit in the tatami area to experience real Japanese seating.